PALMDALE, CA: Real Web Marketing Inc. (http://www.realwebmarketing.net), a web design and website marketing company based in Southern California, has just launched a new web site called Dentist-Web-Sites.com (http://www.dentist-web-sites.com) offering custom and pre-designed web sites for dental practices. 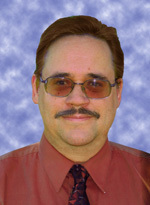 John Eberhard has been involved in marketing for a wide variety of businesses for 25 years. Real Web Marketing Inc. was founded in 1999 in the Los Angeles area, and has clients all over the U.S, in a wide variety of fields such as health care, consulting, construction, home improvement, skin care, debt counseling, personnel recruitment, court reporting, drug rehabilitation, publishing, software, jewelry manufacturing and online sales, residential and commercial real estate, dance instruction, tax consulting, plumbing, pool remodeling, tree nurseries, landscaping and many others. The company recently moved to Palmdale, CA. The services offered by Real Web Marketing Inc. include website design, mobile web design, copywriting, pay-per-click advertising campaign management, social media marketing, search engine optimization, local SEO, video production and video marketing, link building, article syndication, and online PR.